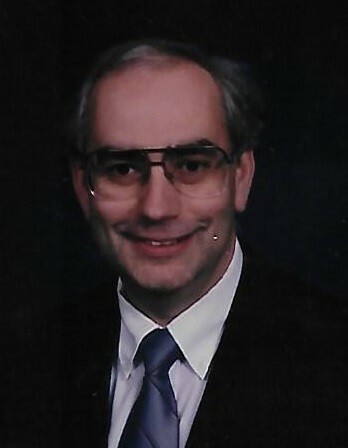 George J. Porto, age 69, of Waupaca passed away at home surrounded by family on Sunday, February 10, 2019. George was born September 23, 1949 at Saint Elizabeth Hospital in Appleton. George spent 32 years in law enforcement including the last ten as Crime Reduction Coordinator for the City of Menasha Police Department. George was an unusually good listener and an ever-ready dispenser of sage advice for family and friends. He loved listening to early jazz and was proud of the vast record collection he built. He had a keen eye for photography. His photos of Wisconsin scenes were painted and sold through the business he and his wife built. One of their favorite paintings was of George’s photo of the Red Mill in Waupaca where he and Barby were married almost 30 years ago. He loved fly fishing, especially on the Radley Creek that flowed behind the beautiful home he and his wife designed for their retirement. He gave generously of his time to the Friends of Hartman Creek State Park where he and Barby loved to hike. Papa was adored by his children and grandchildren. Above all else, he loved and cherished his wife whom he called “Princess.” Practical, strategic, generous, honest, fair, patient and kind-hearted; he lived well, loved and is loved much. He will be greatly missed by wife, Barbara (Scherzinger) Porto; mother-in-law, Tommie Scherzinger; stepchildren, Jennifer Sensenbrenner of Los Angeles, CA; James (Jennifer) Sensenbrenner of Appleton; Carrie (Kurt) Schmitz of Elk River, MN; Charles (Leah) Sensenbrenner of Waupaca; and Douglas (Melody) Sensenbrenner of Oahu, HI; daughter, Kathy Cloutier of Hustisford, WI; grandchildren: Alice, Jeremy, Brittany, Khiah, Emma, Dyani, Gracyn, Keller, Priya and Sylvie; great-grandchildren: Eli, Dakota, and Riley; and sisters, Ceal (Jim) Tesch of Neenah and Edie (Ken) Dickrell of Appleton. Preceded in death by his parents, Anthony J. Porto and Irene (Miller), brother Martin, brother Gregory, sister Toni Lauer, sister Miki Ryder. A Memorial Service will be held on Friday, February 15, 2019 at Saint Mary Magdalene Catholic Church in Waupaca at 4 PM, with Father Xavier Santiago, officiating. Memorial Visitation will be held at the church from 2 PM until the time of service at the church. In lieu of flowers, a memorial fund has been established in his name. George’s family would like to give special thanks to Dr. Matthias Weiss and his team at ThedaCare Oncology for fighting hard for hope, to the ThedaCare Hospice team as well as Maple Crest Funeral Home for providing comfort when needed most, and to Father Xavier whose guidance helped bring us peace. George, we will keep your song in our hearts and we will look for your shining star to brighten our way.